"The combustion engine defeated the horse; and the cannon, the lance!" Please be aware, that this is a strictly apolitical web page. We do not want to support any kind of ideology neither to glorify wars or killing! Panzerwaffe (a Tank force) became a synonym for the lightning victories of the German army in the first years of the World war II. It was the tip of the spear of the famous Blitzkrieg. This page gives you a chance to see what it was made of! 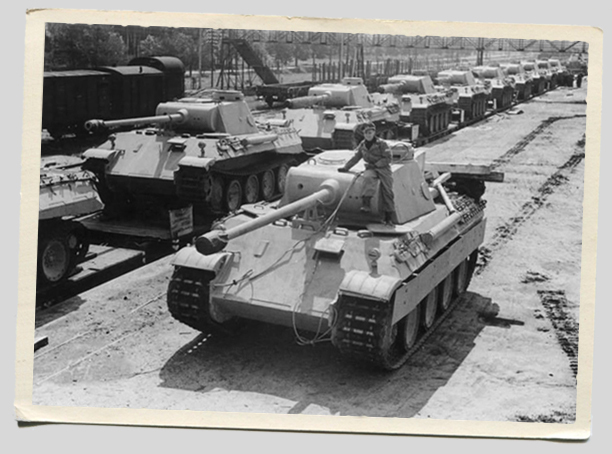 At this moment you can browse through 2899 authentic photos of 34 different types of German armored fighting vehicles... and there are much more to come soon!